When you are getting older, it is very important to stay in shape and to keep up with your fitness. When we age our physical capabilities and functionalities decrease as well, however through exercise and a proper diet you can maintain your body and still feel young as you age. You do not have to do this alone as well because there are many qualified home cares in Louisiana such as Bayou Home Care that can help you stay healthy every step of the way. There are numerous exercises that senior citizens can do with the help of a superb home care in Louisiana like Bayou Home Care. Some of the different kinds of exercises you can do to stay in shape as you get older are actually fairly easy to do and can be enjoyable as well. Walking is a great way to maintain your health and your body as you age. This will not only keep your body active but you can also enjoy yourself by walking through some beautiful and scenic areas as well. Or if it is raining or the weather is not favorable then it is always possible to walk in the comfort of your own home by either a treadmill or just wandering around the house for fifteen to thirty minutes a day. This is more intense than walking but with harder work comes better rewards. So if you feel up to the task, then jogging is a great way to keep your health up and to ensure your body remains in excellent shape. Hitting the gym may be a bit more of a challenge for most people, but this is without a doubt a wonderful way to ensure you can stay in shape or even get back into shape. Even as you get older, going to the gym will make you feel younger than ever. 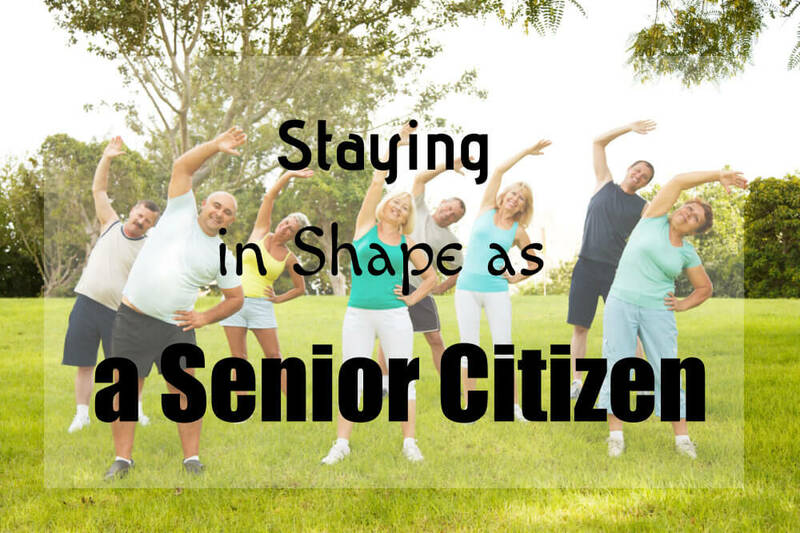 So this is something to consider when you want to lead a more healthy and active life style in your golden years. You do not have to work out alone because home cares in Louisiana such as Bayou Home Care will help you every step of the way, and the best part is that we will go to you. If you are interested then you may visit our website at bayouhomecare.com to learn more.